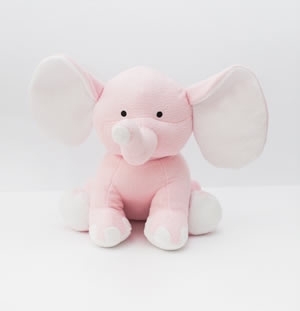 This plush elephant is sure to be a favorite for any baby or child! These look great with a monogram too. 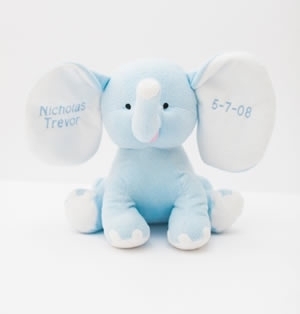 We suggest adding the baby's name on one ear and date of birth on the other. Available in pink or blue. Measures: 13"